View Large Image Baby Bear Too! Baby Bear Too! from Coach House Designs measures 26" x 38". Wall Quilt pattern featuring Lullaby by Kate & Birdie. 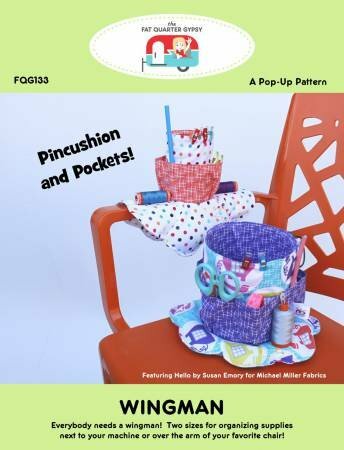 Pattern provides instructions for blue and peach versions. Baby G Boy by Sandy Gervais for Pieces From My Heart measures 61.5" x 61.5" and features the fabric line Block Party by Moda. Basket Pop-Ups from The Fat Quarter Gypsy. Make an adorable handled basket that folds away easily for storage. 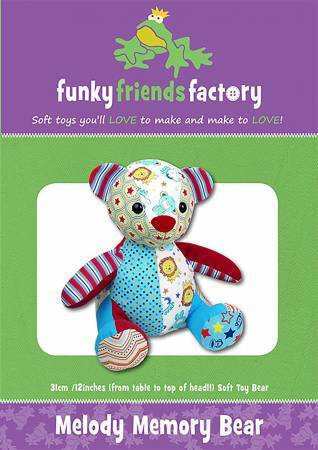 Pattern includes 3 sizes and full color instructions and photos. Bunny Chair Cover by Annette Ryerson for Cut Loose Press. 25in x 22in. Uses Creative Grids CGRSAV1. Project Time: 2-6 Hour. Fabric Type: Yardage Friendly. Project Type: Home. Button Boats from Lazy Girl Designs. Use where ever you need a little keeper. Make three boat plants stitch together while flat then tie the ends and set sail for beautiful adventures. Organize your life untie to store flat. Size 6" x 3" x 3". Celebrations a pennant banner from Ike & Donkey Designs includes pennant ruler. Cookie Time from Desiree's Designs is a Hedgehog Mug Rug pattern that measures 7.5" x 9.5". Dream Big from Whistlepig Creek Productions. 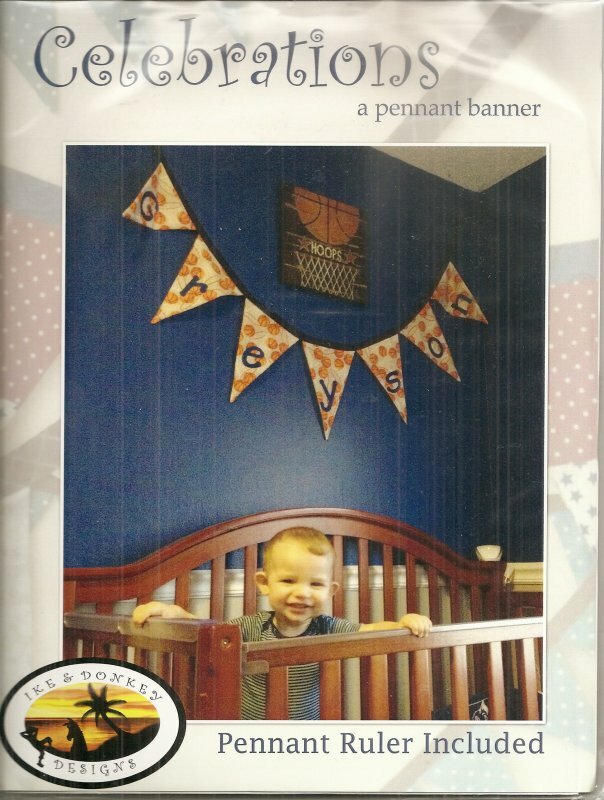 38" x 56 Crib Quilt features fusible applique for a quick and unique baby quilt. Pattern includes a bonus cloud and star mobile pattern. 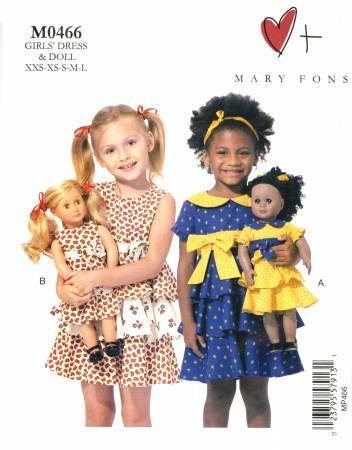 Dress Up Fun Childs Apronfrom Cotton Ginnys. Just putting on one of these fun aprons over jeans and a t-shirt brings smiles of delight and the imagination goes wild! 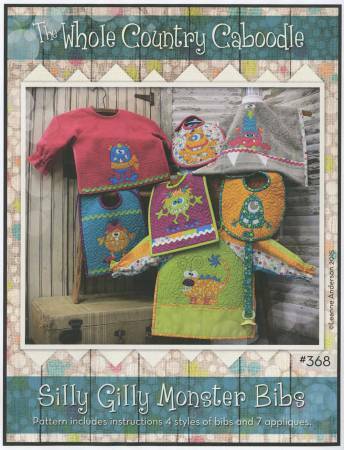 Pattern includes the frog monkey and lion in sizes 3 thru 8. Eloise Elephant from The Quilt Factory measures 42" x 52". Fabulous Folded Bags from Desiree's Designs. Fantasy Friends Aprons from Cotton Ginnys. Kids love aprons! Makes helping mom and play time a lot more fun. They are easy and enjoyable to make and exciting to give as gifts. Sizes 3-8 are included. 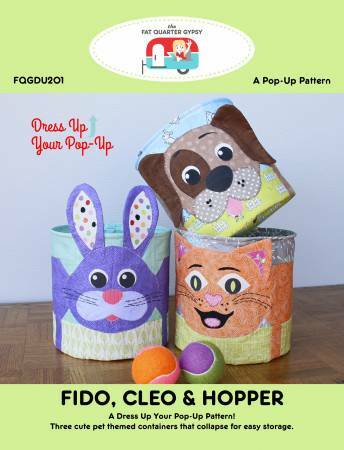 Fido Cleo & Hopper from The Fat Quarter Gypsy. 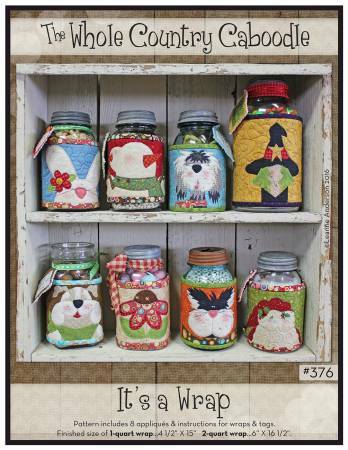 Three cute pet themed contains that collapse for easy storage. Forrest Friends by Connie Spurlock and Teri Chandler. 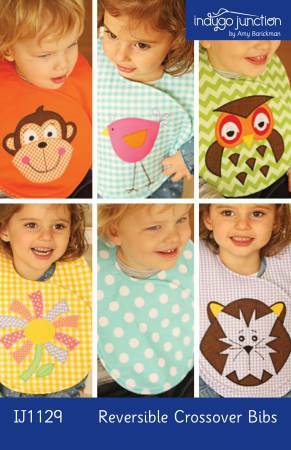 3 adorable animal applique designs with bib pattern included. 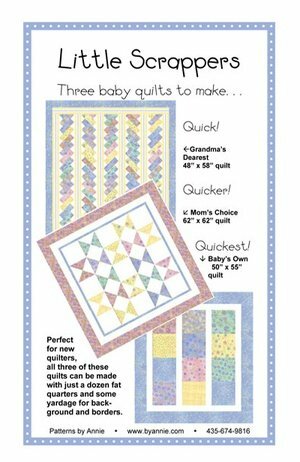 Gabby Quilts Quilt Pattern Booklet for Newborn Fabric Collection. 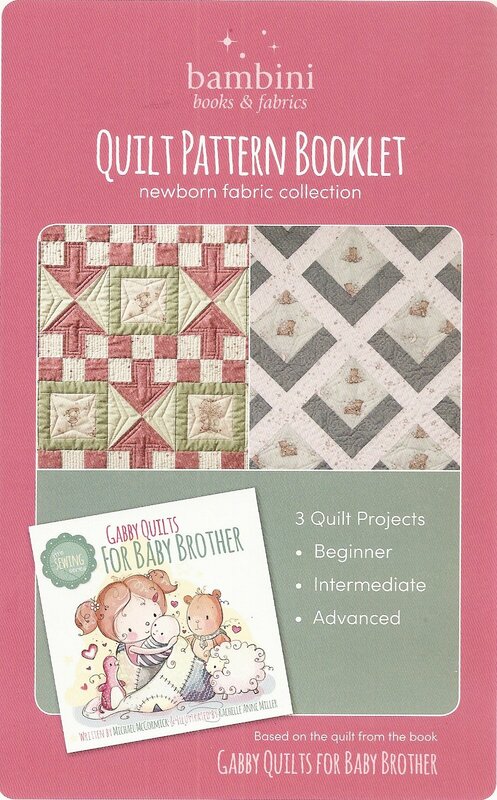 Based on the quilt from the book Gabby Quilts For Baby Brother from Bambini Books & Fabrics. 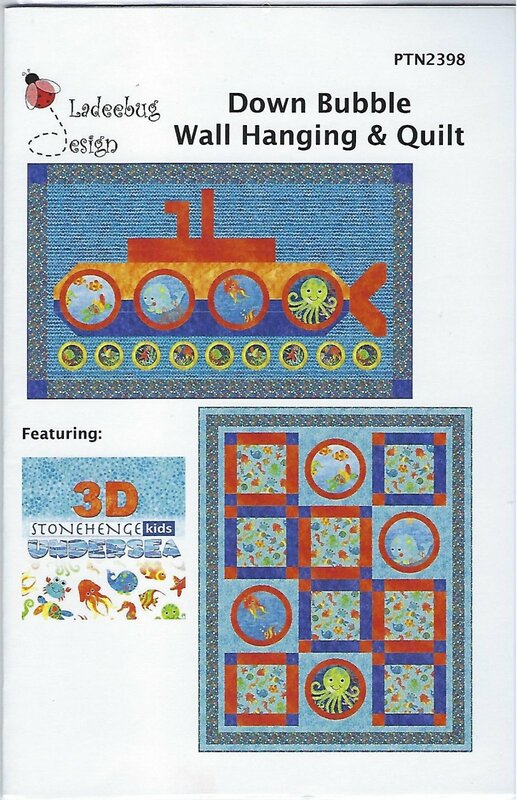 Contains 3 quilt projects: beginner intermediate and advanced. Gifty Card Holders from Lazy Girl Designs measures 3.375" x 2.125". Elegant all-purpose gift card holders in two sweet styles. Wrap a card in the Keeper. Or add the tag style to a gift or on the tree as an ornament. Go Bananas is a Panel Friendly Pattern. Measures 34 1/2" x 52 1/2"
Goat Tea Towel Patternlets from The Wooden bear. Goody Goody Gumballs! Treat Bags from Cozy Nest Design. Finished size: 6 x 8.75x1". It really dispenses! Hang On from Lazy Girl Designs. Hang a small pocket on a charging cord door handle or hook. Hold a cell phone keys glasses candy goodies and more! Use where ever you need a little keeper. Fuse a little cut a little sew a little - and done! It's a Doggy Dog World from The Whole Country Caboodle. 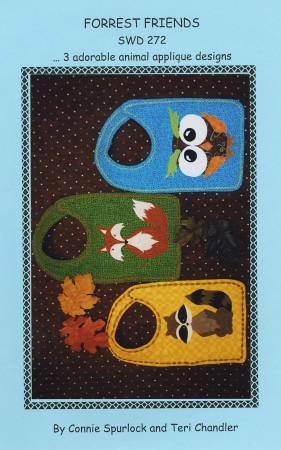 Pattern includes 12 dog appliques & instructions for pillow messenger bag & panels. Its A Wrap from The Whole Country Caboodle. 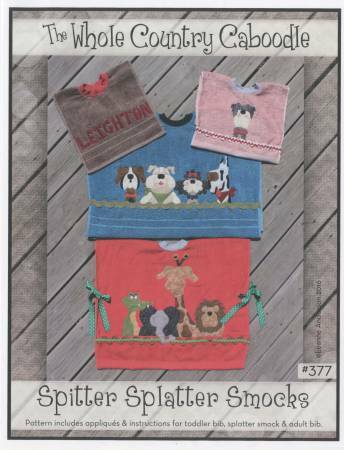 Pattern includes 8 appliques & instructions for wraps & tags. Finished size of 1-quart wrap...4.5" x 15". 2-quart wrap...6" x 16.5". 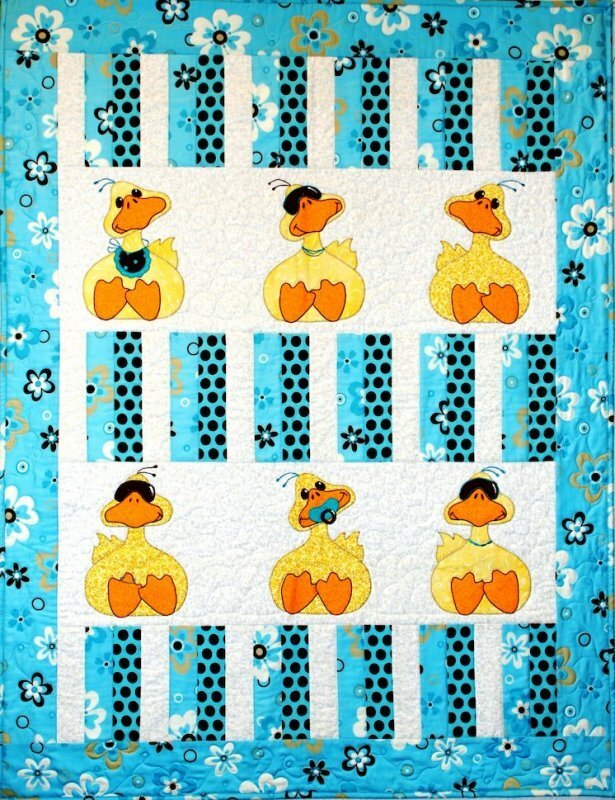 Just Ducky from Desiree's Designs measures 44" x 56". View Large Image Kimono Bibs! Kimono Bibs! by Vanilla House Designs features dress-up bibs that turn your baby into a stylish fashionista! Four versions! Sizes 6 to 24 months. 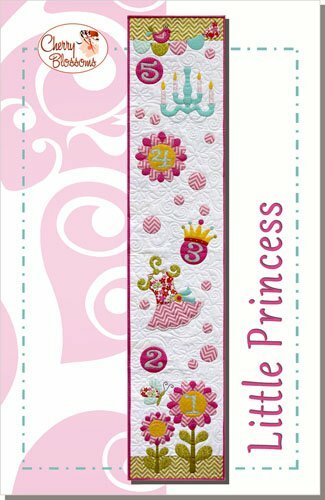 Little Princess from Cherry Blossoms Quilt Studio is a growth chart to watch your little princess grow and keep track of her progress! 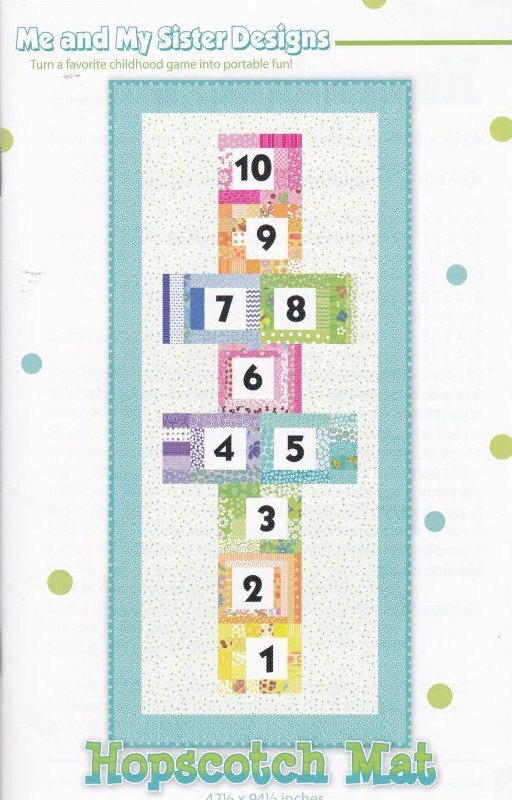 The all-color pattern includes full size layout diagrams and reversed templates for fusible applique. 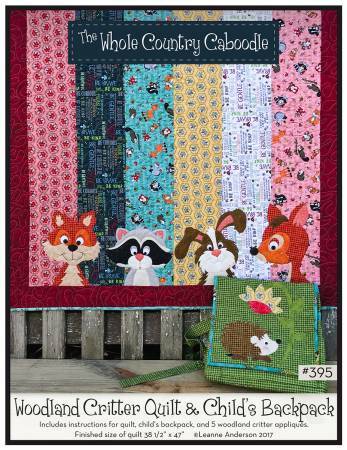 Finished size: 12"
Little Scrappers by Annie has three baby quilts to make. Perfect for new quilters all three of these quilts can be made with just a dozen fat quarters and some yardage for background and borders. Measure Up Ruler Case by Izzy Rogers. Holds rulers: 24.5" x 8.5" 10.5" x 10.5" multiple mini rulers and much more! Holds over 20 rulers! View Large Image Monster Babies! Ooh La La Project Pouches by Janelle Kent for Pieces to Treasure measure 7" x 7". Party Chair Cover by Annette Ryerson for Cut Loose Press. 24in x 20-1/2in. Uses Creative Grids CGRSAV1. Project Time: 2-6 Hour. Fabric Type: Yardage Friendly. Project Type: Home. 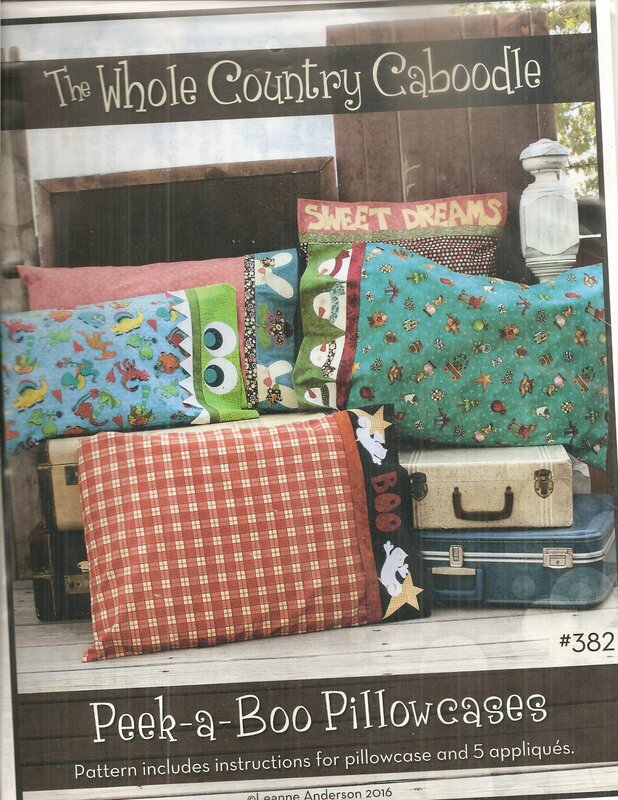 Peek A Boo Pillowcases from The Whole Country Caboodle. 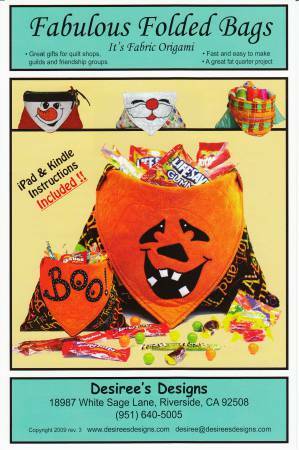 Pattern includes instructions for pillowcase and 5 appliques. Penguin Chair Cover by Annette Ryerson for Cut Loose Press. 25-1/2in x 22-1/2in. Project Time: 2-6 Hour. Fabric Type: Yardage Friendly. Project Type: Home. Pet Pop-Ups from The fat Quarter Gypsy. Your furry friends will love portable pet dishes on the go and you will love how they collapse for easy storage! Comes in multiple sizes. Reindeer Chair Cover by Annette Ryerson for Cut Loose Press. 21in x 26in Project Time: 2-6 Hour. Fabric Type: Yardage Friendly. Project Type: Home. 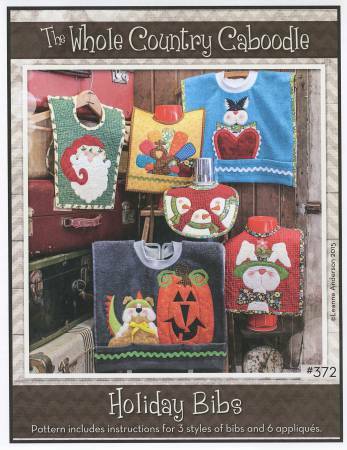 Great to use for a Christmas Holiday or Winter project. 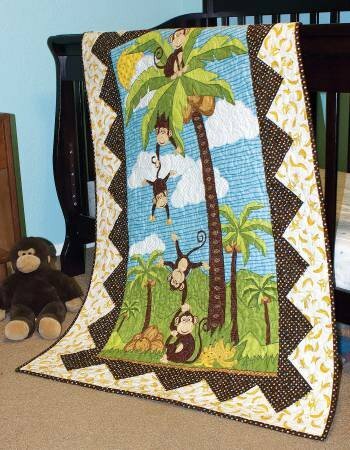 Sammys Safari from Sassafras Lane Designs measures 40" x 54". 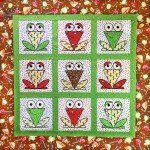 A fun baby quilt pattern that includes alligator elephant giraffe monkey and full alphabet applique patterns. Splash by Debra Grogan for The Quilt Factory measures 42" x 52". T-Shirt Pop Up Pattern from The Fat Quarter Gypsy has multiple sizes. 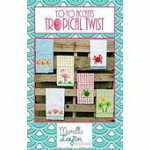 Tropical Twist by Marcia Layton is a pattern for towels presenting a collection of six yo-yo designs with tropical flair. 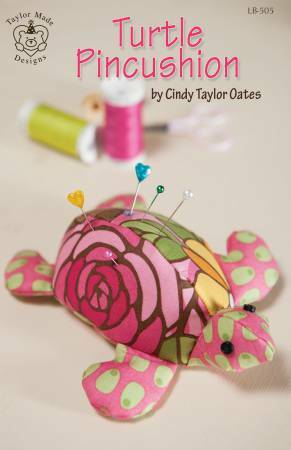 Turtle Pincushion by Cindy Taylor Oates for Taylor Made Designs. 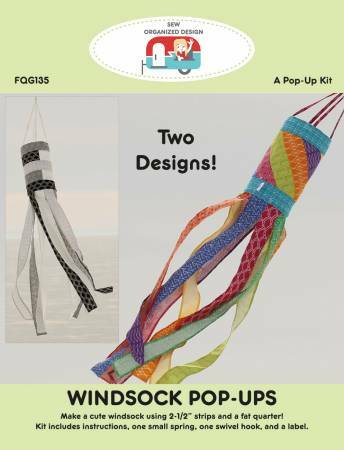 Windsock Pop Up Kit from The Fat Quarter Gypsy. Make a cute windsock using 2.5" strips and a fat quarter! Kit includes instructions, one small spring, one swivel hook, and a label. Wingman from the Fat Quarter Gypsy. Two sizes for organizing supplies next to your machine or over the arm of your favorite chair! Woodland Critter Quilt & Child's Backpack from The Whole Country Caboodle measures 38.5" x 47". Zoe Zebra by Deb Grogan from The Quilt Factory measures 42" x 52". 'Diva Babies' is a bib pattern from Vanilla House. It has 4 different patterns. 'Dude Babies' is a bib pattern by Vanilla House Designs. 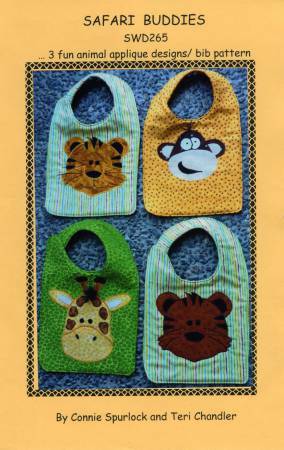 There are 3 bib patterns in this pattern. 'Hopscotch Mat' by Me and My Sister Designs turns a favorite childhood game into portable fun. 42 1/2 X 94 1/2"